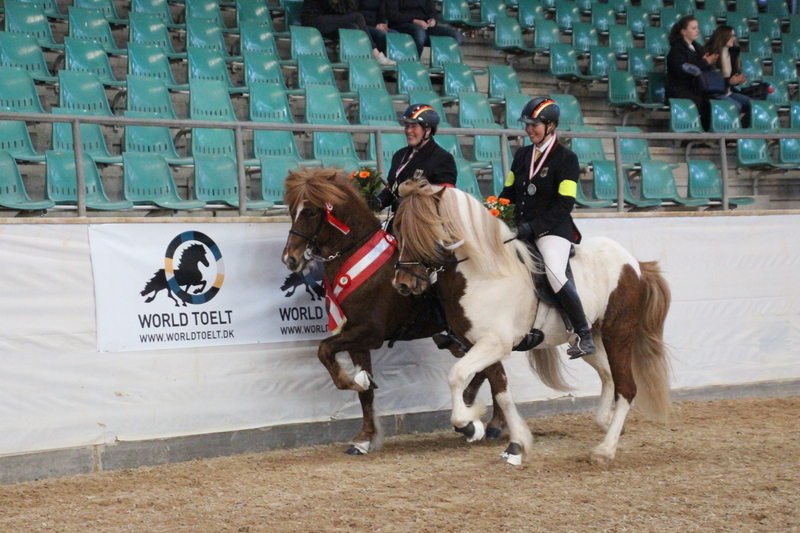 World Toelt | The last Final of WorldToelt 2019 ended with bravour! 23 Mar The last Final of WorldToelt 2019 ended with bravour! Das letzte Finale vom diesjährigen World Toelt ist mit Bravour beendet! Jolly Schrenk zeigte uns eine hervorragende Leistung mit Glaesir und holte sich die Goldmedaille! The last final at this years WorldToelt has ended with bravour! Jolly Schrenk showed a beautiful performance with Glæsir, and took the Gold Medal. Auf Viedersehen und Vielen Dank!